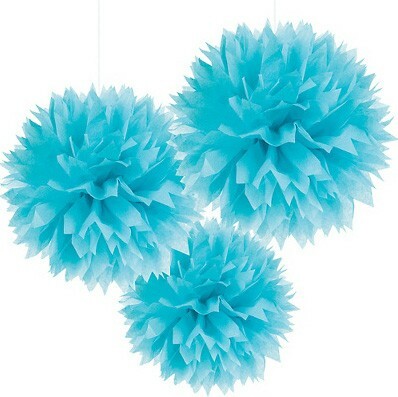 Hang Caribbean Fluffy Decorations from a ceiling or doorway to instantly bring a fun mood to your party. Add layers of fluff to your party life! 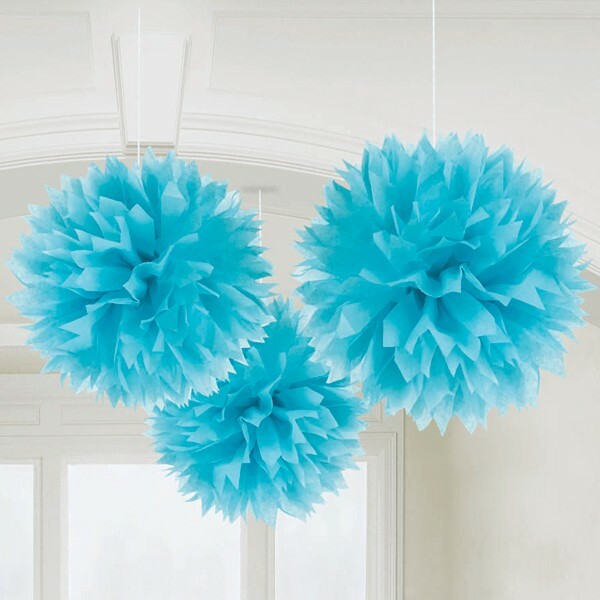 Hang Caribbean Fluffy Decorations from a ceiling or doorway to instantly bring a fun mood to your party. Paper decorations measure 16" in diameter fully open, but arrive flat, with some assembly required to fluff them up. Simple instructions and string for hanging are included. 1 Pack includes 3 Fluffy Decorations.